John MacArthur causes a division in Church on false grounds – Strange Fire? John MacArthur is a professed calvinist, and calvinists believe in TULIP which means (IF they want to be consistent with their own teachings) that they don’t believe that Jesus died for everyone (Limited Atonement), that God doesn’t want everyone to be saved, that people are born elect/non elect (saved/doomed), that nothing comes to pass against the will of God, that even sin is according to God’s will, etc. So not only does MacArthur preach false doctrines and insults our holy God, but as can be seen below it also looks like he is awfully close to committing the unpardonable sin by publicly ascribing the power of the holy Spirit – when it comes to casting out demons and healing people – to SATAN. It’s obviously not an unpardonable sin to simply doubt the truthfulness of a person’s supposed healing – not even if you express your doubt out loud, because you certainly might be right in your observation – HOWEVER if a person truly has cast out demons and healed someone and you as a believer of God publicly claim that this is not from the holy Spirit at all but of Satan, then it appears that you fit the description of blaspheming the holy Spirit. Being unsure is not a sin, and expressing your doubt is not a sin, but to publicly ascribe ALL modern cases of healing to Satan will lead to sin because not all of those cases are of Satan but of the holy Spirit. MacArthur seems to suggest that 100% of all claimed cases of casting out demons and/or healing are either fake or of Satan (unless it’s by the hands of Jesus or his apostles). If he is wrong in some of those cases – which he is – then this results in that he is guilty of suggesting that people have unclean spirits despite that they do NOT. 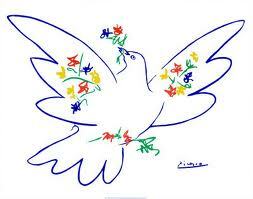 The holy Spirit should rather be praised for what just happened instead of being attacked and compared with darkness. Only God can be the judge here, but MacArthur should reevaluate his mission – if it isn’t too late. Matt. 12:22 Then was brought unto him one possessed with a devil, blind, and dumb: and he healed him, insomuch that the blind and dumb both spake and saw.—24 But when the Pharisees heard it, they said, This fellow doth not cast out devils, but by Beelzebub the prince of the devils.—27 And if I by Beelzebub cast out devils, by whom do your children cast them out? therefore they shall be your judges.28 But if I cast out devils by the Spirit of God, then the kingdom of God is come unto you.—31 Wherefore I say unto you, All manner of sin and blasphemy shall be forgiven unto men: but the blasphemy against the Holy Ghost shall not be forgiven unto men.32 And whosoever speaketh a word against the Son of man, it shall be forgiven him: but whosoever speaketh against the Holy Ghost, it shall not be forgiven him, neither in this world, neither in the world to come. Mark. 3:22 And the scribes which came down from Jerusalem said, He hath Beelzebub, and by the prince of the devils casteth he out devils.—28 Verily I say unto you, All sins shall be forgiven unto the sons of men, and blasphemies wherewith soever they shall blaspheme:29 But he that shall blaspheme against the Holy Ghost hath never forgiveness, but is in danger of eternal damnation.30 BECAUSE THEY SAID, HE HATH AN UNCLEAN SPIRIT. Leviticus 10:1 And Nadab and Abihu, the sons of Aaron, took either of them his censer, and put fire therein, and put incense thereon, and offered strange fire before the Lord, which he commanded them not.2 And there went out fire from the Lord, and devoured them, and they died before the Lord. Numbers 3:4 And Nadab and Abihu died before the Lord, when they offered strange fire before the Lord, in the wilderness of Sinai, and they had no children: and Eleazar and Ithamar ministered in the priest’s office in the sight of Aaron their father. Clearly the strange fire offered to God in Leviticus was sinful and against his will, because he had forbidden that kind of unlawful fire. Nadab and Abihu were immediately devoured before the Lord when they transgressed his law. Since MacArthur equals the entire charismatic movement (Assembly of God, the Pentecostal church, etc) with this type of unlawful strange fire, then he couldn’t possibly regard any of the members as saved – but rather as gangsters who oppose the holy Spirit and side with Satan. How could anyone be saved who purposely present strange fire (which is nothing but demonic) before the Lord? ”No, it is significant to note that Pentecostals and Charismatics can’t substantiate their claim that what they are doing is the Biblical gift. There’s really no evidence to prove it. There is no evidence that it’s language. You say then, ”What is it?” Could be demonic. Could be satanic. I think it was in Corinth, in some cases. Could be that. 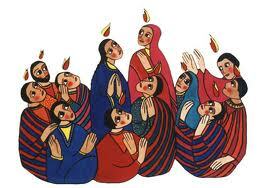 Ecstatic speech is a part of many pagan religions in Africa, East Africa. Tonga people of Africa, when a demon is exorcised, sing in Zulu even though they say they don’t know the Zulu language. Ecstatic speech is found today among Muslims, Eskimos, Tibetan monks. It is involved in parapsychological occult groups. Did you know that the Mormons, even Joseph Smith himself advocates speaking in tongues? It could be demonic. Now all of these supposed manifestations of tongues were always identified as heretical, fanatical, unorthodox, outside the Church; and we conclude that when they ceased they ceased, and there have been continual off and on fabrications of counterfeit tongues. Since these gifts did cease, the burden of proof is on the Charismatics to prove that what is happening today is valid. Why do we always have to get backed in the corner and prove our case? Why don’t they take the Bible and prove theirs and look at history as well and do the same? Wherever in the Bible does it say that you are to speak in a private tongue? Never! A private ecstatic, angelic speech–never! It’s hard for me to argue against those who say that tongues is a private prayer language because I can’t go to some text and correct them because there isn’t any text! Suffice it to say that this unique gift given for the Apostolic time is irreproducible today, and whatever purports to be that is not that; it is something counterfeit. A myriad of studies, which I’ll deal with in the book [Charismatic Chaos], and when you get a copy you can read them in detail, give evidence of the fact that motor-autonomism (sp. ), ecstasy, hypnosis, psychic-catharsis, collective psyche, memory excitation, and all other kind of terms are used to describe people who go into these kinds of trance like experiences. So there are no verses which say that we can speak in tongues privately? What’s wrong with these? I don’t feel those who speak in tongues need to prove anything to Mr MacArthur and he can continue to believe that speaking in tongues is ”trance like” even though they aren’t. If pentecostals today don’t do anything else but speaking in counterfeit demonic tongues, then only cessationists could be saved – unless he believes demon possessed people can enter the kingdom of God. This means that MacArthur concludes that a person is definitely NOT a christian as soon as he hears him speaking in tongues or making use of any other spiritual gifts. That’s pretty much the exact opposite of what the Bible says, because Peter and other believing jews realized that the gentiles around them had received the holy Ghost precisely because they spoke in tongues and magnified God (speaking in tongues in combination with good fruit). MacArthur, however, understands speaking in tongues totally different from the apostle Peter does, because when he hears someone speaking in tongues he (MacArthur) believes that person is not saved because of the tongues. Act 10:44 While Peter yet spake these words, the Holy Ghost fell on all them which heard the word.45 And they of the circumcision which believed were astonished, as many as came with Peter, because that on the Gentiles also was poured out the gift of the Holy Ghost.46 FOR THEY HEARD THEM SPEAK WITH TONGUES, and magnify God. Then answered Peter,47 Can any man forbid water, that these should not be baptized, WHICH HAVE RECEIVED THE HOLY GHOST as well as we? Mark 16:17 And these signs shall follow them that believe; In my name shall they cast out devils; they shall speak with new tongues;18 They shall take up serpents; and if they drink any deadly thing, it shall not hurt them; they shall lay hands on the sick, and they shall recover. 1 Thess. 5:19 Quench not the Spirit.20 Despise not prophesyings.21 Prove all things; hold fast that which is good. 1 Cor. 12:3 Wherefore I give you to understand, that no man speaking by the Spirit of God calleth Jesus accursed: and that no man can say that Jesus is the Lord, but by the Holy Ghost.4 Now there are diversities of gifts, but the same Spirit.—10 To another the working of miracles; to another prophecy; to another discerning of spirits; to another divers kinds of tongues; to another the interpretation of tongues:11 But all these worketh that one and the selfsame Spirit, dividing to every man severally as he will.—30 Have all the gifts of healing? do all speak with tongues? do all interpret?31 But COVET EARNESTLY the best gifts: and yet shew I unto you a more excellent way. Paul tells us to covet earnestly the best gift. Does MacArthur obey Paul in doing so? Does he realize that speaking in tongues might not be understood (since the Bible says that NO MAN UNDERSTANDS) and that there wouldn’t even be a need of the gift of interpretation of tongues IF tongues were always understood? 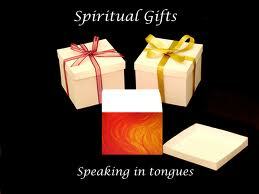 Paul doesn’t say ”if you don’t have the gift of interpreting, then don’t use the gift of speaking in tongues at all”. 1 Cor. 14:1Follow after charity, and DESIRE spiritual gifts, but rather that ye may prophesy. 2For he that speaketh in an unknown tongue speaketh NOT UNTO MEN, but unto God: for NO MAN UNDERSTANDETH HIM; howbeit in the spirit HE SPEAKETH MYSTERIES. 3But he that prophesieth speaketh unto men to edification, and exhortation, and comfort. 4He that speaketh in an unknown tongue EDIFIETH HIMSELF; but he that prophesieth edifieth the church. 5I WOULD THAT YE ALL SPAKE IN TONGUES but rather that ye prophesied: for greater is he that prophesieth than he that speaketh with tongues, except he interpret, that the church may receive edifying.”— 12 Even so ye, forasmuch as ye are ZEALOUS of spiritual gifts, SEEK that ye may excel to the edifying of the church.13 Wherefore let him that speaketh in an unknown tongue PRAY that he may interpret.14 For if I pray in an unknown tongue, my spirit prayeth, but my understanding is unfruitful.15 What is it then? I will pray with the spirit, and I will pray with the understanding also: I will sing with the spirit, and I will sing with the understanding also.—18 I thank my God, I speak with tongues more than ye all: 19 Yet IN THE CHURCH I had rather speak five words with my understanding, that by my voice I might teach others also, than ten thousand words in an unknown tongue.—28 But if there be no interpreter, let him keep silence in the church; and LET HIM SPEAK TO HIMSELF; AND TO GOD.—39 Wherefore, brethren, covet to prophesy, and forbid not to speak with tongues. Does MacArthur understand that we are not even speaking to men but unto GOD when we speak in tongues (and no man understands), UNLESS the tongues are interpreted? Does he realize that Paul recommends us to speak in tongues privately at home? Does he realize that Paul NOWHERE says that the speaking in tongues shall cease before the coming of Christ, when we shall see him as he really is? 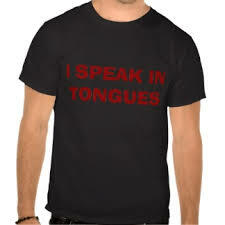 If speaking in tongues has ceased, as MacArthur claims, how come it hasn’t? How come millions of true born again christians still speak in tongues? If they are all Satanic, why didn’t Paul bother to warn us about this? Wouldn’t it have been better for Paul to say somewhere that ”the true speaking of tongues shall cease close after my own death, but there will be millions and millions of so-called christians (who show good fruit) who will speak in FALSE tongues, so be aware of them and don’t fall into the same trap”, etc? If Paul spent a few months in a certain church and noticed that none of the spiritual gifts were present, wouldn’t he have been disappointed and reproved the leaders of this church for neglecting to encourage these gifts – which could have been to much edification both for individuals and/or for crowds of people? I fear that people are so afraid of the misuse of the gifts of the holy spirit that they don’t seek them at all, and this ends up being a victory for the devil. 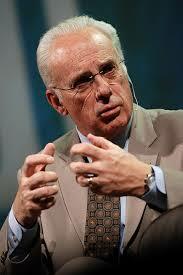 Unfortunately, John MacArthur has made a study Bible, and you would do well to disregard it. He gets a lot of things right, but he also gets lots of things wrong and there is a risk you will fall for gnosticism/calvinism (and that God is the author of sin) if you start to believe MacArthur’s claims in his book. I can also say that quoting MacArthur where it sounds like he believes that man has free will, that we all have a chance to be saved, etc, only proves that he is not consistent with his own teaching (TULIP) and that he contradicts himself. 2 Peter 2:2 But there were false prophets also among the people, even as there shall be false teachers among you, who privily shall bring in damnable heresies, even denying the Lord that bought them, and bring upon themselves swift destruction.2 And many shall follow their pernicious ways; by reason of whom the way of truth shall be evil spoken of. Acts 20:28 Take heed therefore unto yourselves, and to all the flock, over the which the Holy Ghost hath made you overseers, to feed the church of God, which he hath purchased with his own blood.29 For I know this, that after my departing shall grievous wolves enter in among you, not sparing the flock.30 Also of your own selves shall men arise, speaking perverse things, to draw away disciples after them.31 Therefore watch, and remember, that by the space of three years I ceased not to warn every one night and day with tears. I have no other desire than seeing also John MacArthur receiving the gift of speaking in tongues (and other gifts), but if puts so much energy in fighting against the holy Spirit and His gifts, the chances are slim that it will happen. John MacArthur teaches that it’s possible to be saved even after having taken the mark of the beast (he starts with the incorrect premise of pre-tribulation). The Bible says the opposite. What if people in the future trust MacArthur’s assurance and take the mark of the beast? It’s of course no valid excuse to blame others (false teachers) for our choices, but teachers who present damnable doctrines have blood on their hands. Let’s pray for their repentance, and that people won’t trust MacArthur’s false assurances. See below how MacArthur makes it known, that if you’re in the charismatic movement you’re NOT saved and you’re NOT part of the body of Christ. I get chills down my spine listening to his war against charismatic christians, and how he gets applauds from the other leaders (and the audience), and how people laugh when he makes jokes about the whole matter. I also don’t trust his concern for lost souls, because if he is right about his own gospel, then his God doesn’t even want all people saved, but only the elect – and of course all calvinists belong to the elect. All glory to God, and we can only pray for more workers like Torben and his team who are so willing to explain the gospel to people on the streets – including the important truth that sin separate us from God whether we are non-believers or not.